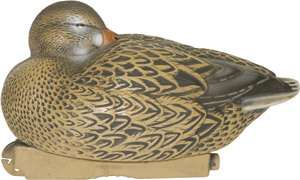 This decoy when used in your spread gives it a look of being at ease. The decoys measure 13" from breast to tail. Packaged 3 drakes and 1 hen per 4 pack. 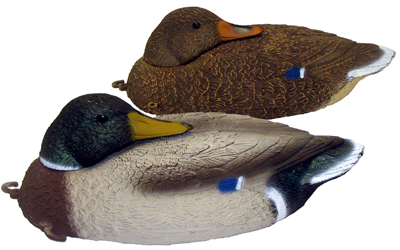 These field or water decoys measure 16" from tail to breast. 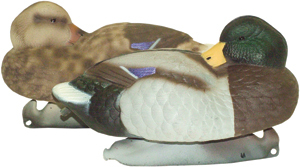 This decoy will give your spread a relaxed look. The heads are removable and allow you to change the look of your spread by just turning the head in various directions. 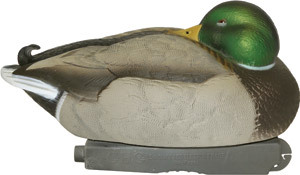 These decoys are packed 6 Drakes and 6 Hens per dozen.